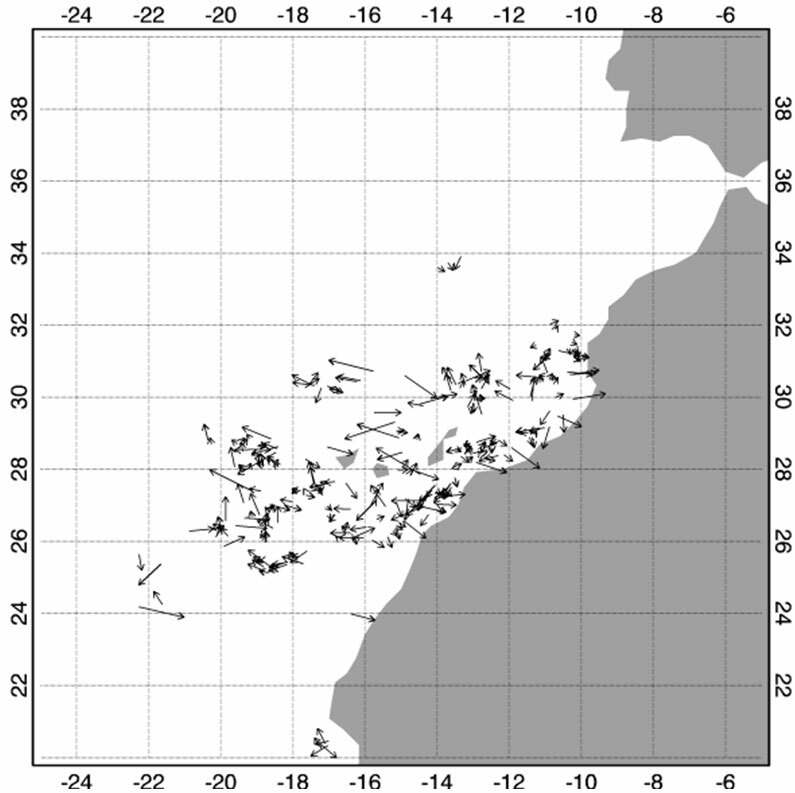 Example of the ocean currents product as generated by the GOES-R ocean currents algorithm using SEVIRI data on July 8, 2005, at 12:00 UTC. Vector length indicates derived current strength (1 degree = 1 m/s). The GOES-R ocean currents offshore algorithm employs a sequence of GOES-R ABI spectral band images to derive estimates of ocean motion. Ocean currents are affected by several different factors including tides, storms, ocean temperature gradients, winds, and coastline roughness. Ocean currents are important to monitor because they transport pollution, algae blooms, and other sediments, affecting ocean wildlife and coastal resources. The higher spatial and temporal resolution available on GOES-R provides high resolution monitoring capabilities to oceanographers, aiding in the management of coastal resources.